So I think after a several months knitting absence an update is in order. A refresher of sorts. 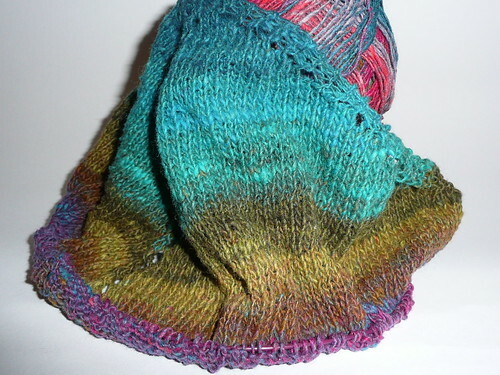 While I haven't blogged about knitting in a while, I also haven't actually been knitting. University really did just take over for the majority of the past year and it has taken me several months recovery to slowly get back into several of my hobbies, I sadly had to set both my knitting needles and my books aside which I found really quite odd and it didn't really help my stress levels. Obviously this means that I had several projects part finished, so I have taken some quick pictures to give you an update on their current progress to start fresh. Progress: What you can see above is literally the current extent of my progress, about 10-15 rows of kidsilk knitting. This forms either the front or the back panel, I haven't quite figured it out yet, but I think I shall probably frog back and start again. 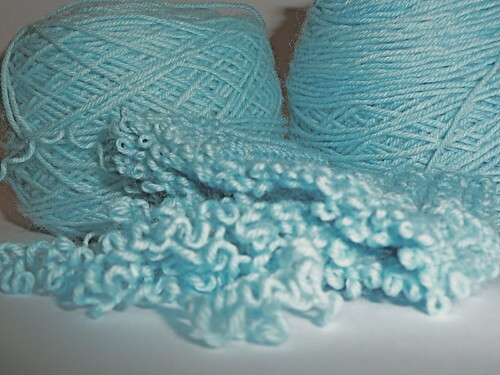 I don't have any other plans for the yarn however so I will be re-knitting in the same pattern. Progress: As you can see from the mess above, I have pulled the needles out of these. I have done this for two reasons, firstly because I cannot pin point which line I am on, and secondly because I am not as in love with the pattern anymore, and so I shall be recycling the yarn with a different one. I will probably keep this for another pair of socks though. Progress: This is the only already existing project that I have worked on since I put down my needles at the beginning of the year, though only in the past few weeks. As you can see it really has gotten quite large, I am half way through the fourth repeat of the second chart and I intend to knit at least seven repeats so this actually isn't that far from finished. I can't wait to get this one finished as it really is a beautiful pattern so I am continuing to work on this at the moment. Progress: This right here is a newbie. I cast this on a few weeks ago shortly after my "can you hear that clicking" blog post. 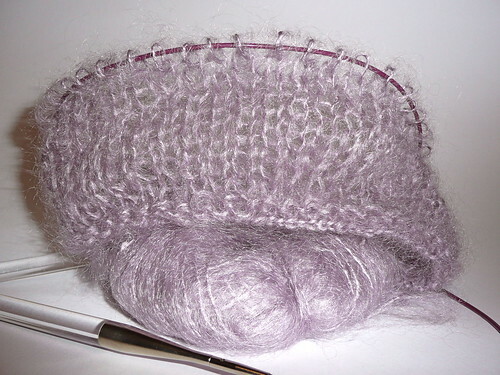 Eagle eyed knitters will know that the shawl I was knitting there was actually Damson, and I intended it as a present, but I changed my mind and made my friend some cupcakes and instead frogged Damson to make myself another Ysolda Teague pattern. Ishbel so far is almost at the lace stages, and I am reasonably happy with the way it is turning out, I'm not overly fond of the mucky green in the yarn, and am contemplating doing the maths and seeing if I can chop it out and still have enough yarn to finish the pattern. 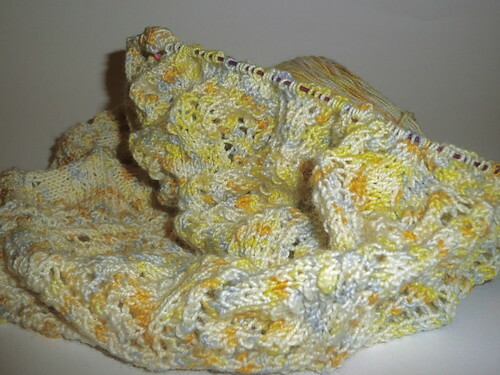 I have seen an Ishbel knit in this same yarn however and it looked beautiful completed so I may just persevere. So that is where my knitting basket currently stands, and I think I shall have to finish at least the Marina before I cast on for anything else, otherwise they will get away from me! NOTD: What's With The Cattitude?